Big Marley Auto from All-in Medicinal Seeds are autoflowering seeds. These seeds are originated by crossing the Skunk x Ruderalis. All-in Medicinal Seeds Big Marley Auto are weed seeds that are suitable for an indoor grow and outdoor grow. The weed plants are shorter and more compact than her parents. The tops of this plant are solid and thick. The effect of smoking this weed is a relaxed feeling in your head and body. This strain is also used for medical purposes. 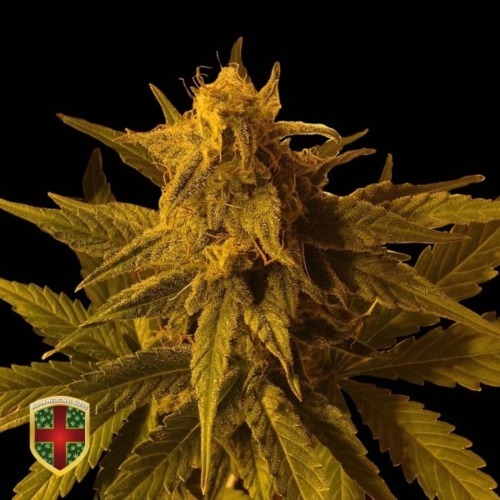 Growing cannabis from these autoflowering seeds provide you a nice weed of good quality. Tell us and our customers what you think of the Big Marley Auto from All-in Medicinal Seeds.